King Louis 2 bite brownie: Creamy vanilla cookie based, packed with chocolate chips. Deliciously moist, from content to restful, this straight up good cookie treat is 100% Grandma approved. Made to order! 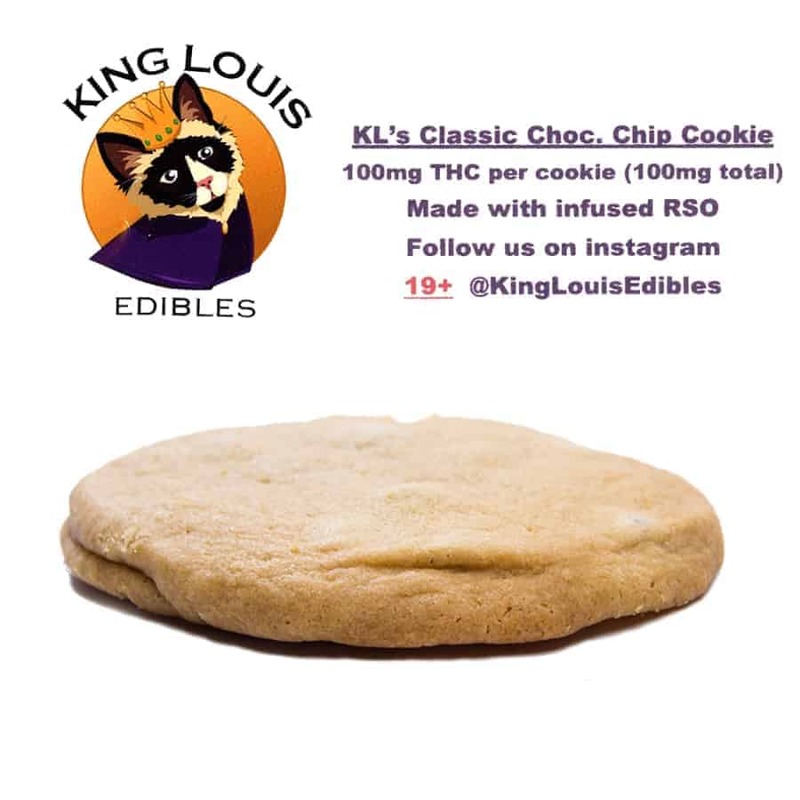 4 reviews for "King Louis – Chocolate Chip Cookie – 100mg THC"